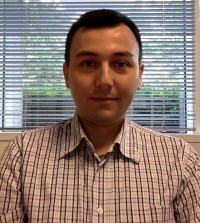 Mert Cevik is the Sr. Linux & Network Systems Administrator at Renaissance Computing Institute (RENCI), University of North Carolina at Chapel Hill. He is primarily responsible for administration of ExoGENI and BEN systems that are currently deployed in more than 20 sites. He holds M.S. degree in Electrical and Computer Engineering from Georgia Institute of Technology.